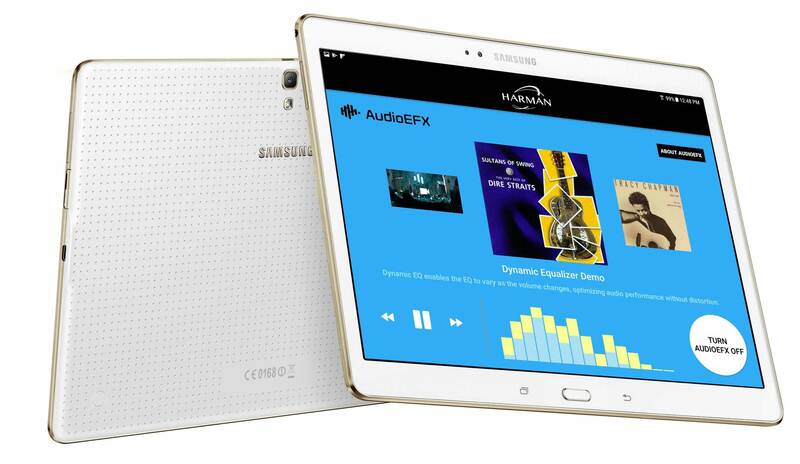 Harman is a Samsung company that owns and operates some of the world’s most legendary audio brands, including Harman Kardon, JBL, Infinity, and Lexicon. 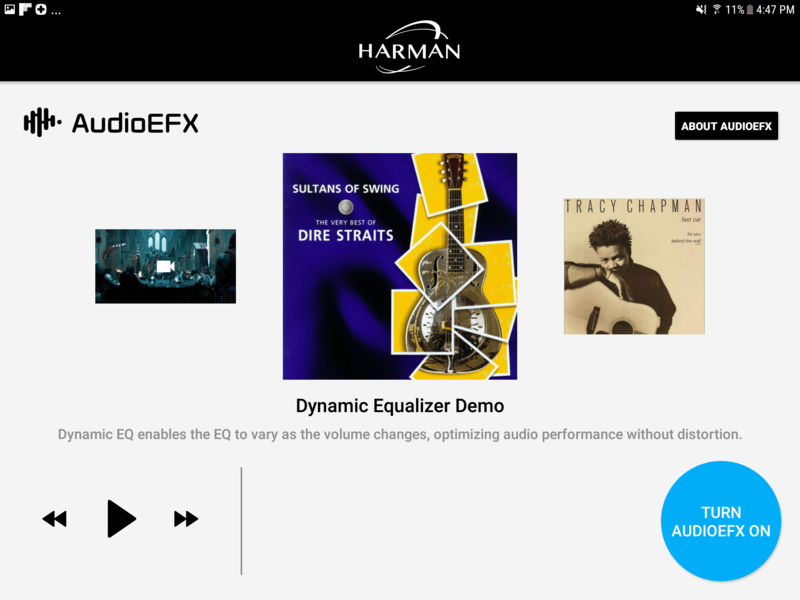 Within this 26,000-employee global conglomerate is the Harman Embedded Audio team, a team of the world’s best audio engineers that creates hardware and software audio solutions for consumer electronics, IoT, and other audio-enabled devices. 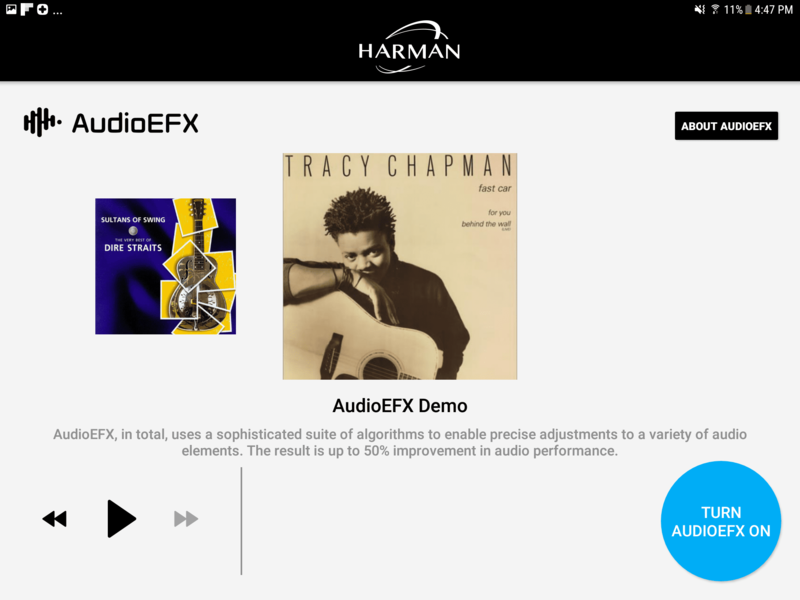 Harman hired CitrusBits to build an Android-based demo app for the Harman Embedded Audio Team’s new audio-enhancing software, AudioEFX. 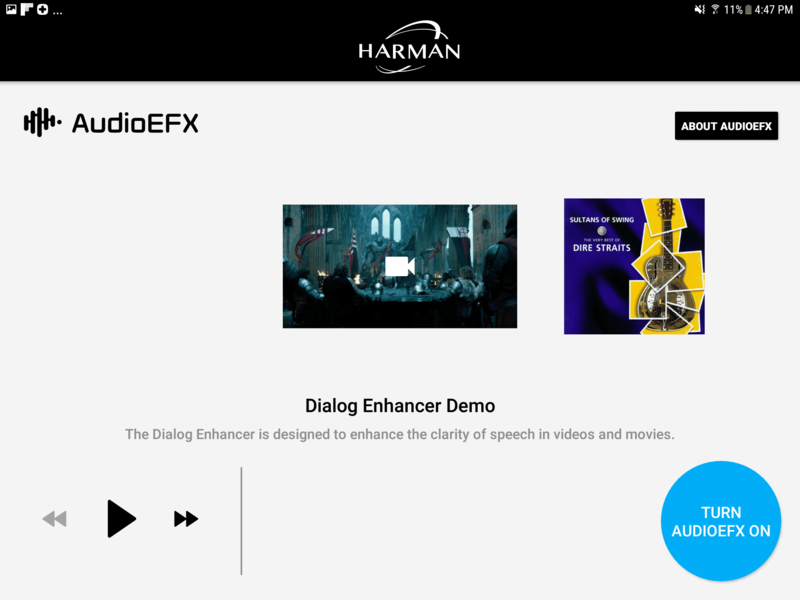 The demo app needed to showcase the substantial audio enhancements AudioEFX provide relative to normal audio. The Harman team had considered numerous other app development agencies across the US for this project, but they ultimately felt the most confident in CitrusBits’ ability to deliver a bug-free app on time, with the powerful user experience necessary to make a sales impact. 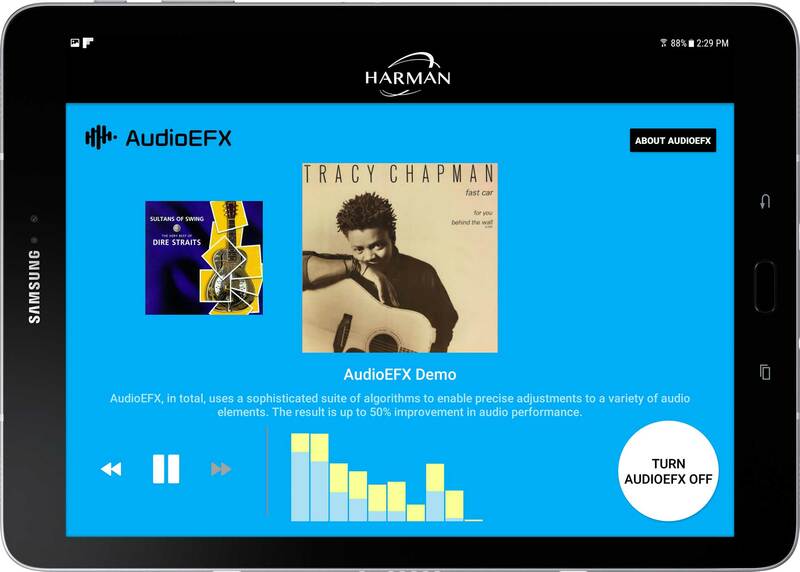 Harman needed the app to demonstrate Audio EFX’s superior audio performance in three distinct listening scenarios. In approaching the app’s UI/UX design, we knew we had to make the app easy to use for prospective customers that might only have a minute or two to spend with the app — at an industry trade show, for example. This led us to design intuitive swipe-based navigation to enable users to move between each of the three listening scenarios. 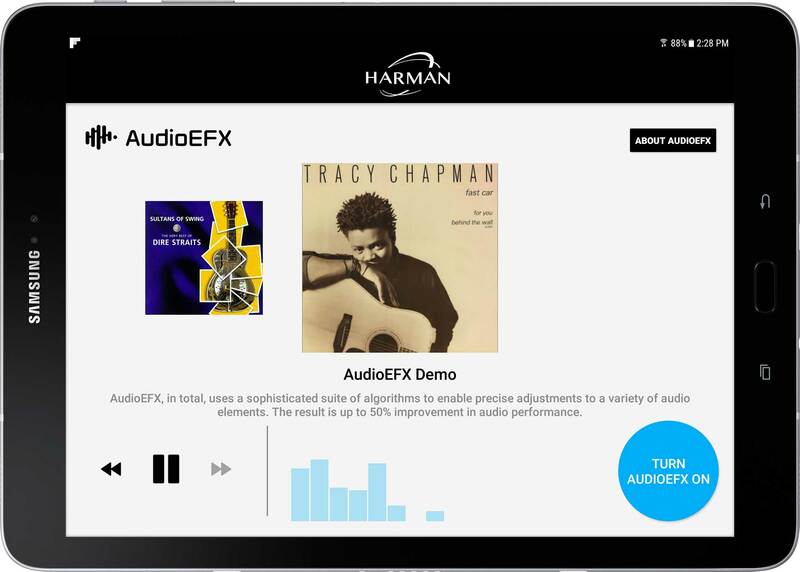 Within each listening scenario, users can begin playing a sample audio file with normal audio settings. Once the audio begins to play, users can press a button to toggle on the AudioEFX-enhanced audio. The button can then be toggled back and forth, allowing users to experience the substantial contrasts in audio quality and detail. We knew the enhanced audio would itself impress users, offering a substantially clearer and more dynamic listening experience than the normal audio. Yet, we knew that we had to design an enhanced visual experience to complement that audio experience. So, we added a number of eye-grabbing visual elements to both make it obvious that the audio had been toggled from “normal” to “enhanced”, as well as to make it clear that the enhanced audio was substantially more dynamic and interesting.